Photographs: 229 photographs available, of which 7 are featured on this page. SCROLL DOWN FOR PHOTOGRAPHS. 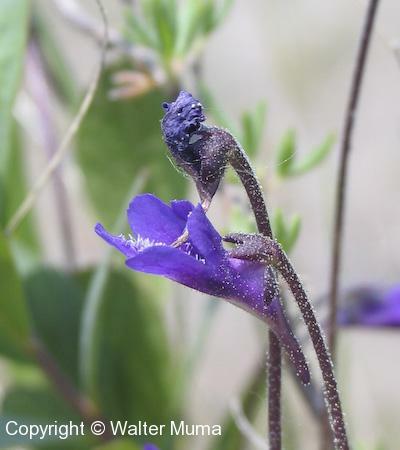 Closeup viwe of a Butterwort flower. 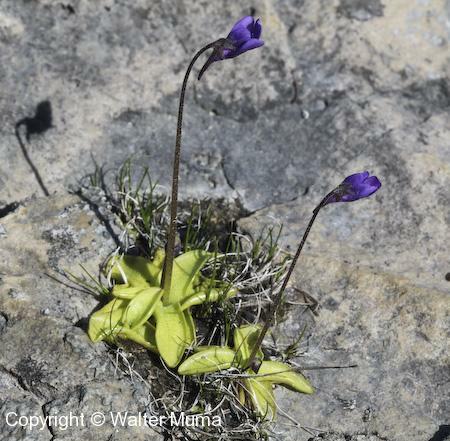 A Butterwort plant growing in a small pocket of soil amidst bare rock. 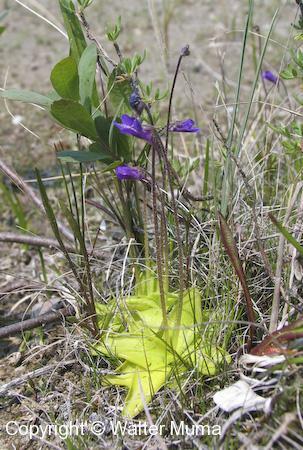 Closeup view of a plant. 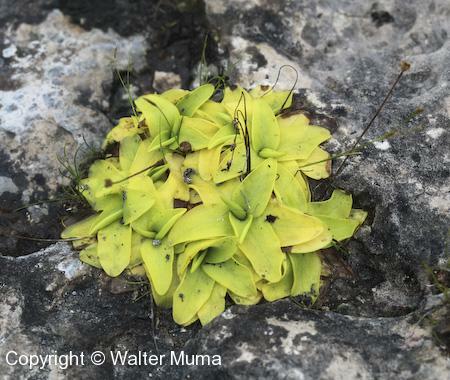 Butterwort leaves aer very yellow, and are slimy to touch. This gives it its common name. Closeup view of the rosette. 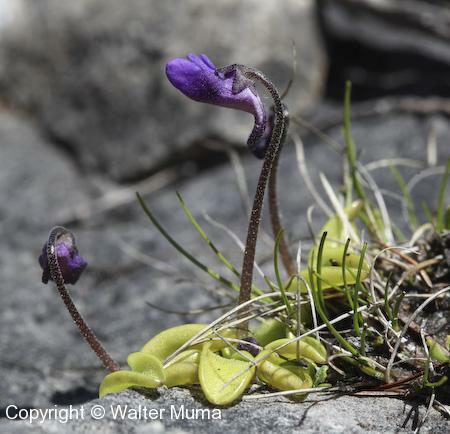 A nice patch of Butterwort plants.